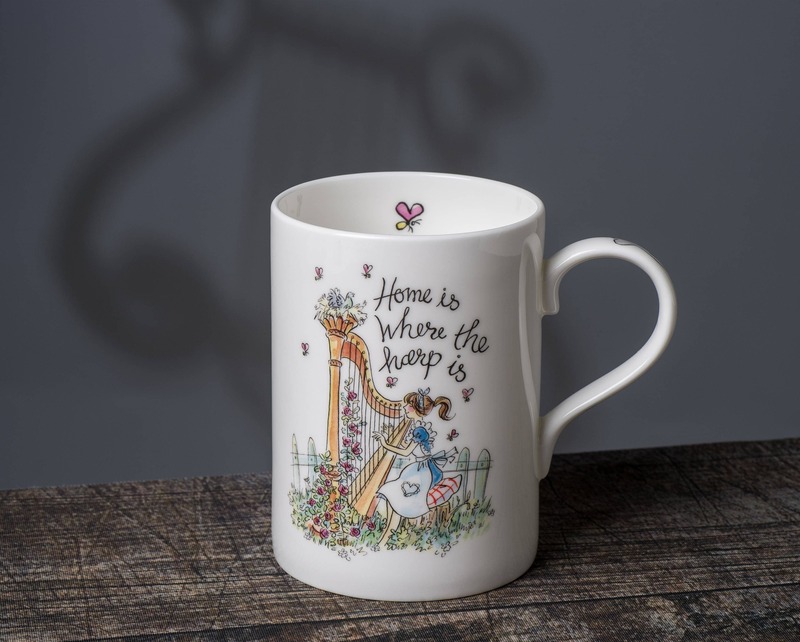 Home is Where the Harp is ! 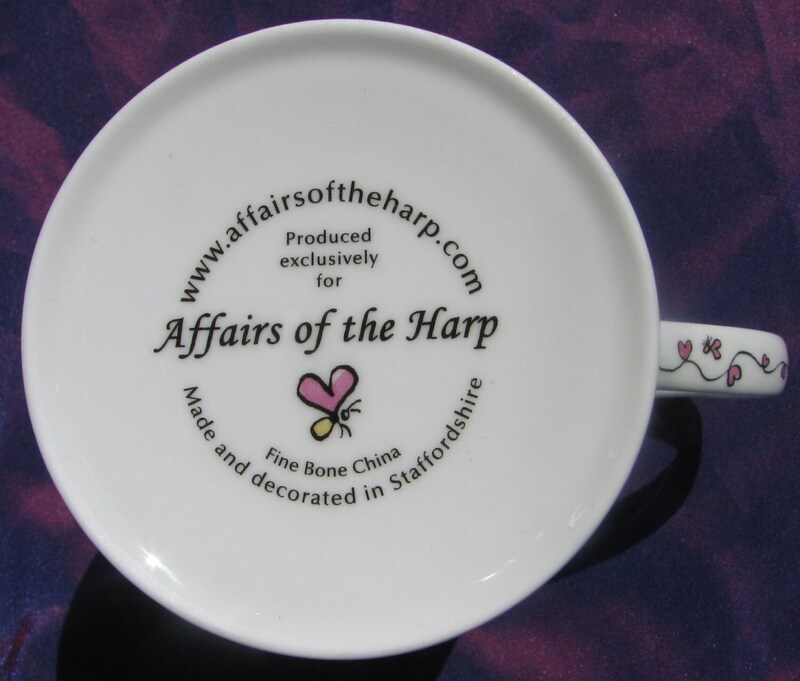 Finest quality Bone China Mug made in Staffordshire, England exclusively for "Affairs of the Harp"- my online store specialising in harp-themed items. Designed by an award winning artist, the charming and witty artwork is guaranteed to delight! 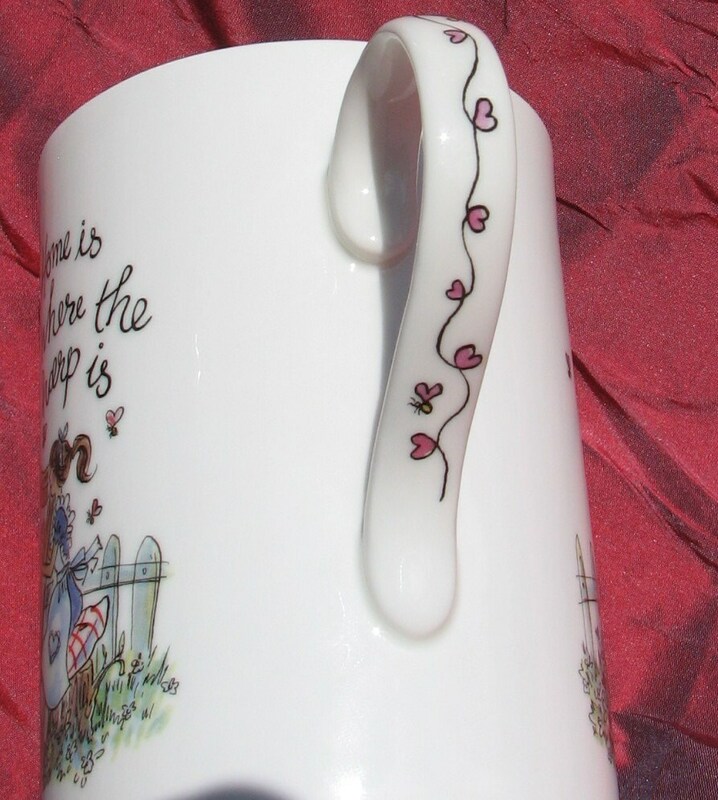 It features a design on the handle and a small detail from the artwork inside the rim of the mug. Ideal for a musician,any music lover or a harpist ! 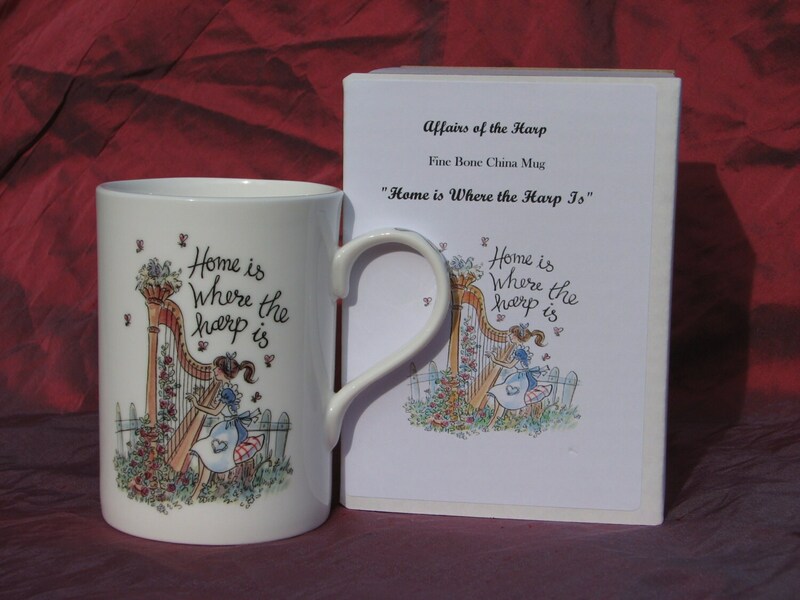 Comes carefully packed in its own cardboard box featuring the design of the enclosed mug. Brought as a secret Santa present and she loved it. Beautiful design! 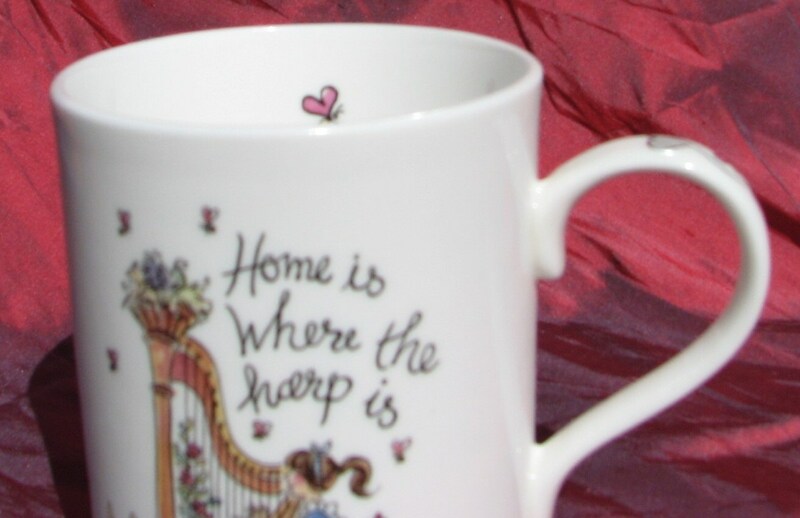 Gave this mug to my harp teacher of 17 years and she loved it and thought it was adorable! Beautiful product and quick to ship! My harp teacher adores her gift. Thank you!